Now get access to targeted email marketing along with digital packages with Media Direct. DigDev, South Florida’s leading multi-channel data and digital marketing agency provide solution-based strategies to clients, globally. With extensive experience in this field, spanning more than a decade, the agency believes in offering customized digital packages that are meant to address every clients’ need uniquely. With email marketing now included in their digital packages, DigDevDirect gives clients a better chance of customer engagement. Because DigDev has such an extensive database, clients receive a higher conversion ratio as compared to their contemporaries. "You are the owner of a successful jazz studio in Deerfield Beach, with customers in the age group between 30 to 45 years. You now want to expand the reach to other parts of South Florida keeping in mind a similar target audience, but are unable to do so sitting in one corner. DigDev does a deep-dive into all those areas that you want to expand to and creates display advertisements aimed at specific age groups only. Here, we source data from various channels such as website enquiries, mailing lists, interest in jazz, etc. to give you the right kind of audience. This target audience is then sent customized messages via extensive email campaigns that are meant to entice them to join the studio," said a Media Direct Representative. DigDevDirect offers a wide database of consumers based on their preferences, age, gender, geography, marital status, political affiliations, etc. that makes it easier to segment the target audience. This search, when narrowed down, gives clients the means to reach out to their potential customers immediately. 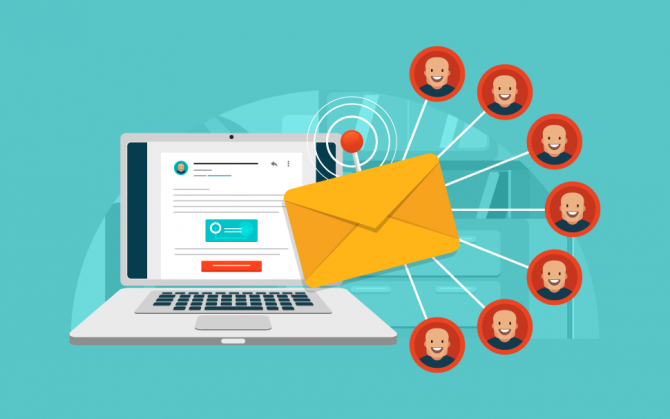 With Media Directs’ email marketing now part of digital packages, customers can send mailers on an on-going basis to create interest and generate leads continuously. An effort carried out on a large scale does not yield results instantly but requires consistent efforts to do so. This ensures a brands visibility and also gives them access to multiple potential clients or similar clients, across boundaries of the city. When they combine mobile and email marketing with social media and programmatic advertising the results are quite compelling to ignore. For more information regarding this feature, please contact Dennis John at djohn (at) digdev (dot) com. DigDev Direct utilizes a multi-channel marketing platform to cater to high-level services for customer acquisition and retention. Each channel comes with highly targeted strategies whether it be search engine optimization, pay per click, email marketing, mobile, data appending or more.